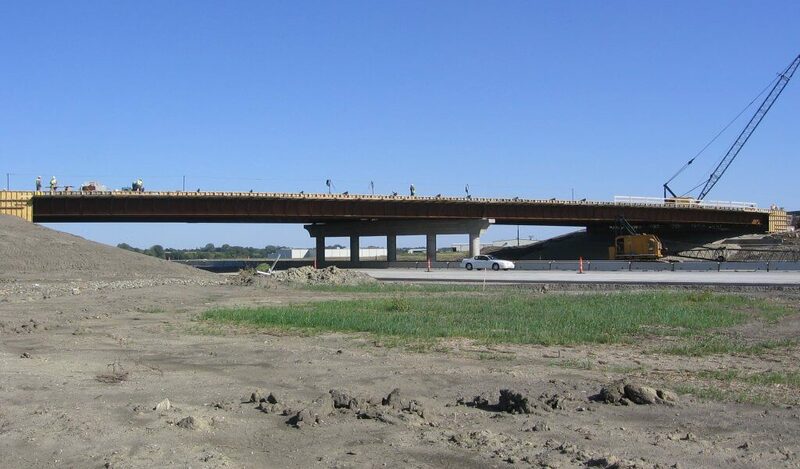 This project involved creating a new interchange near Altoona, Iowa where development is taking place. The bridge for the interchange is a 317-foot-long, two-span, continuous welded girder bridge with four traffic lanes and a sidewalk on the west side of the bridge. Completed in 2005, the project establishes a vital link between Altoona and Bondurant with improved access to I-80. The bridge was designed on the existing alignment of 1st Avenue to reduce the required right-of-way acquisitions. The decision to eliminate the side piers resulted in a long, two-span bridge to provide the horizontal clearances required for I-80. 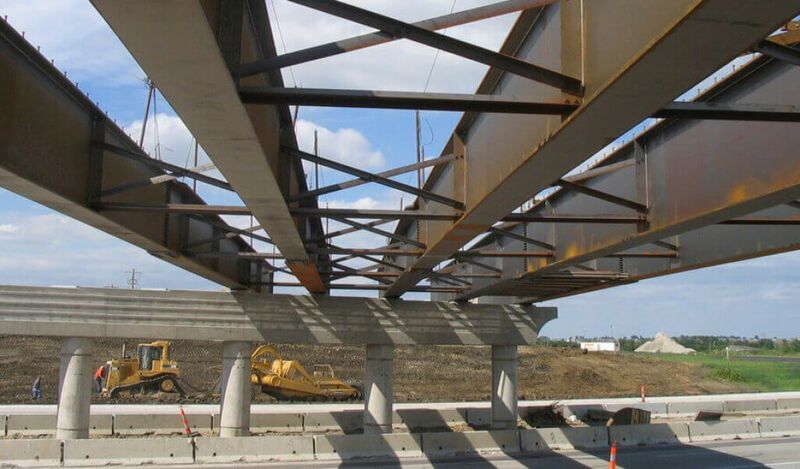 The long spans and skew required the design of custom stub abutments, expansion bearings, and welded plate girders. Welded plate girders were put in a separate bid package to allow the steel fabrication process to begin before the remainder of the bridge was let. This kept the project on schedule and avoided construction delays. Widening of 1st Avenue to accommodate additional travel lanes and a median produced settlement issues at the bridge abutments. To alleviate this, the exterior piling in the abutments was designed for downdrag, essentially adding additional loading to the piles to account for settlement affects. Concrete staining for the elements with rustications. Shuck-Britson worked with Polk County and the Iowa DOT to develop the aesthetic details. We performed preliminary bridge design, final bridge design, and provided construction review services to review shop drawings and answer contractor questions during construction. Snyder & Associates performed the survey, roadway design, and provided construction review services to review shop drawings and answered contractor questions during construction.